For the second year and until 2017, WFTO launched a campaign to invite everyone who wants to make a difference and support positive changes to nominate its AGENT FOR CHANGE and participate in the celebration for the WFTDay. Indeed, Fair Trade is an agent for change. It is a tangible solution to poverty eradication, a good tool for sustainable development and promotes social justice. The 2016 WFTDay focused additionally on human chains, and human chains activities were part of all WFTDay 2016 events. 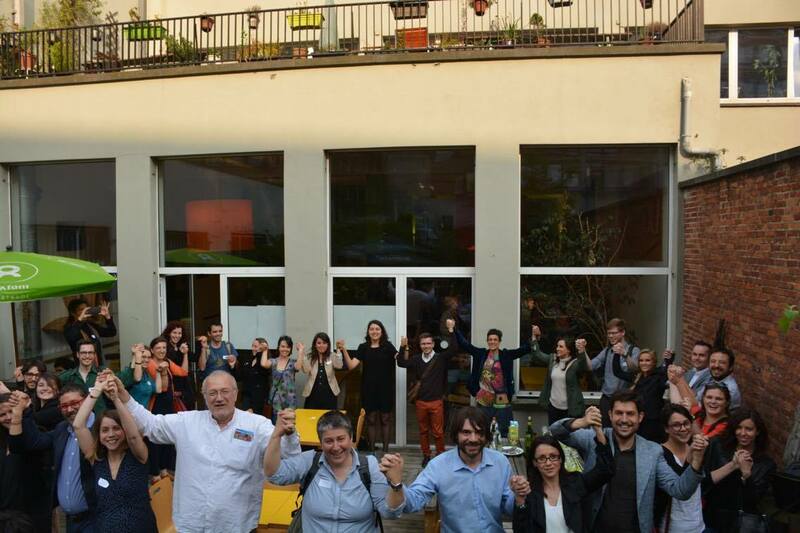 WFTO-Europe participated in the final Conference of the Fair Share project, which took place the 13th of May. The Fair Share project aims to set up and test an online e-learning platform to train different stakeholders like entrepreneurs but also teachers and students regarding the different dimensions of Fair Trade. The event was divided in a first presentation about the context, the pedagogical model and the platform, and in a second part where participants between experts, teachers and students were involved in an interactive workshop on how to use and sustain the platform in the future. The tool is still a work in progress as the second and third steps consist of the development of the training content and the test in real-life but it could be a good starting point to involve easily more people in the Fair Trade movement. 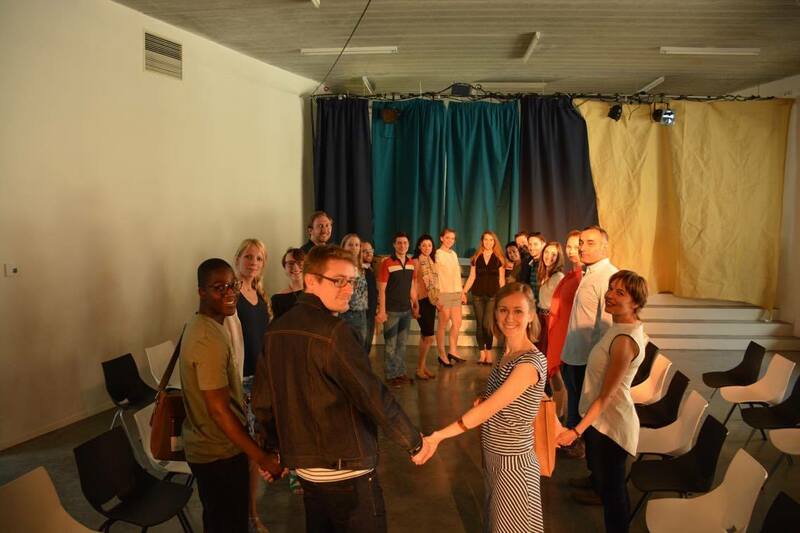 On this occasion, WFTO-Europe took a picture of its human chain with all the attendants, included the organizer of the conference Monimbò & Equo Garantito (Italy), Laurea (Finland), Tavistock Institute (UK), CECE (Spain) and Académie des Entrepreneurs Sociaux, University of Liège (Belgium). Besides the Fair Share event, WFTO-Europe participated also in a Fair Trade Fashion show organized in Ixelles, Brussel. The citizen’s initiative was supported by the commune of Ixelles and by XL en transition, a movement aimed to bring together citizens and to jointly develop concrete, creative and friendly actions to deal positively with the current challenges of the city of Brussels and the planet. During the fashion show, the latest collections of Fair Trade fashion brands were presented to the public and several ethical brands like People Tree, Belgikïe, Goodsociety, Komodo, Wunderwerk, Contigo, Supergreen me, Valerie Berckmans and Cent Vingt Huit sold some of their creations through a charity auction for a fair price. “We have to think globally but act locally if we want to make a change in the world” stated Lisa Braae, the mind behind this wonderful idea. Also on this occasion, WFTO-Europe organized its human chain with the models of the Fair Fashion Show. Many other events were organized in Europe and all around the world to celebrate the WFTDay. Here you can find a list of some of them. For more information check also our press release. 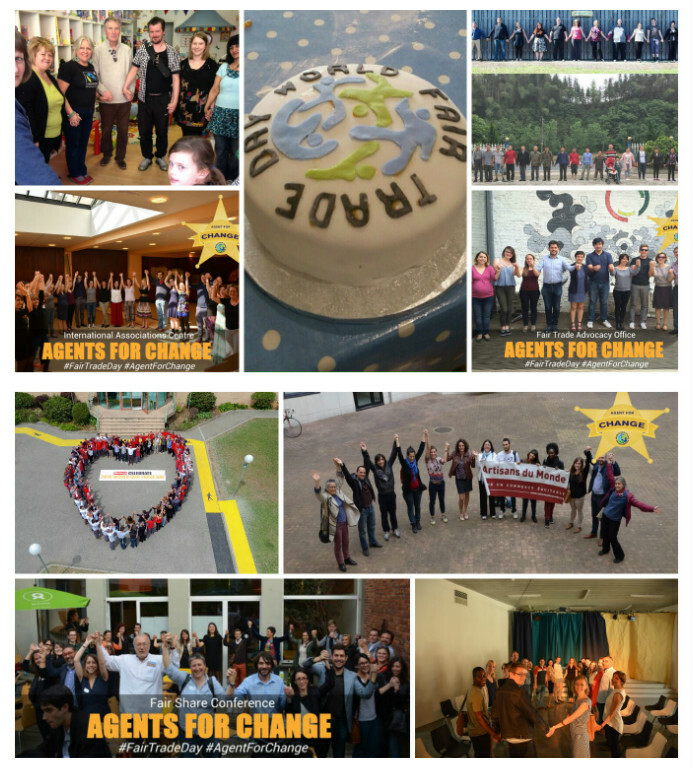 WFTO-Europe would like to thank all its‪ agents for change for the amazing support during the‪ World Fair Trade Day‬! We encourage you to show your commitment towards Fair Trade values every day in order to fight against poverty and sustain a fairer economy.